The principal aim of ‘Through the Surface’ was to investigate ways in which different groups of textile artists, in different circumstances, with different cultural influences, engage in the creative processes. ‘Through the Surface’ embraced as many areas of textile practice as possible. This included state of the art fashion textiles, textiles as interface between science, medicine and technology, and textile/textural understanding as applied to live art and installation. To discover how can the potential enrichment of textile practice be explored and developed through opposing yet complementary approaches of Japanese and U.K. artists? 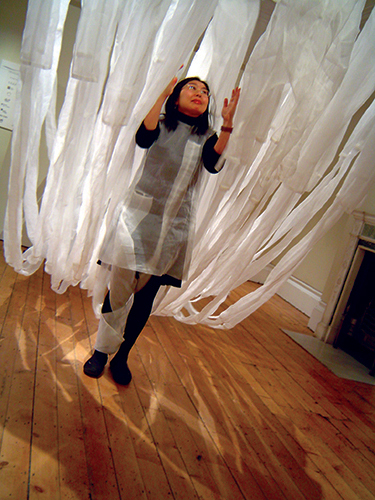 The relationships established during both ‘Revelation’, an exhibition of mainly British textile artists which was shown in Japan in 1998, and ‘Textural Space’, an exhibition of Japanese textile artists which toured England in 2001 put in place a dialogue between British and Japanese textile artists. Through the Surface set out to continue that dialogue and explore points of difference and similarity within the cultures of Japan and Britain through the exchange of ideas, techniques, cultural and personal sensibilities as they relate to working practice. AHRB funding for the development of the project. 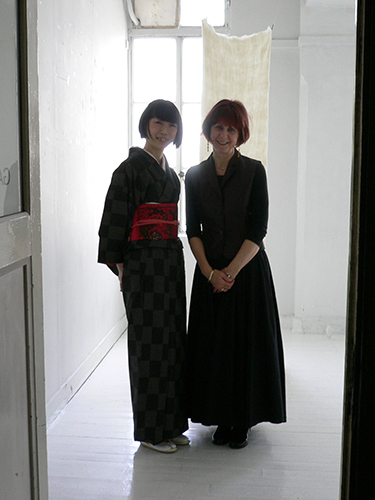 14 textile artists from the UK and Japan took part in a mentoring scheme. Seven emerging artists, four from Britain and three from Japan, travelled to work with established artists from their opposite country. The emerging artists stayed for between 8 and 12 weeks and then returned to their own country. All the artists produced work as a result of that exchange, created through collaborative involvement which is documented through their journals on the project website. The resulting exhibition Opened simultaneously over 3 venues in the South East of England: UCA Farnham, Fabrica Brighton, and Hove Museum. It was accompanied by an international conference at UCA with speakers from Japan, Holland and the USA. 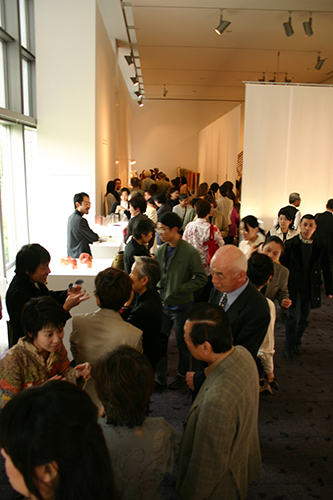 It then toured the UK to venues including the Sainsbury Centre of Visual Arts, followed by a showing at the Museum of Modern Art Kyoto, Japan. 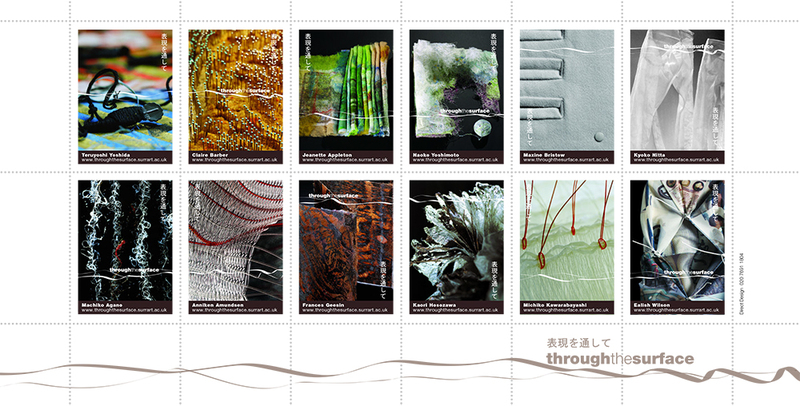 The final outcome was the establishment of the Anglo-Japanese Textile Research Centre at UCA.